The Water Tower is an unused water tower that was built in 1901 in Ft. Atkinson, Wisconsin. It was added to the National Register of Historic Places on November 15, 2005. It is a 112 feet (34 m)-tall structure: a 78 feet (24 m) cream brick masonry base supports a 33 feet (10 m) steel tank. It has diameter just over 25 feet (7.6 m) at the base. 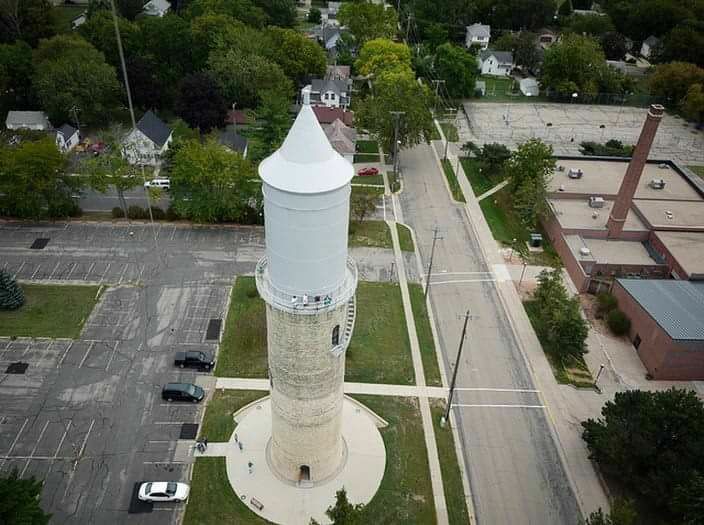 The Fort Atkinson Water Tower Tour is the first Saturday of the Month from 10:00 am – Noon (Seasonally). View Fort Atkinson from a unique angle by climbing the stairs to the top of the water tower. 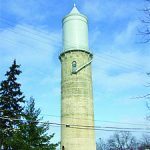 Donations are appreciated to help maintain the water tower. Tour guides are all volunteers so make sure to thank them for their time.